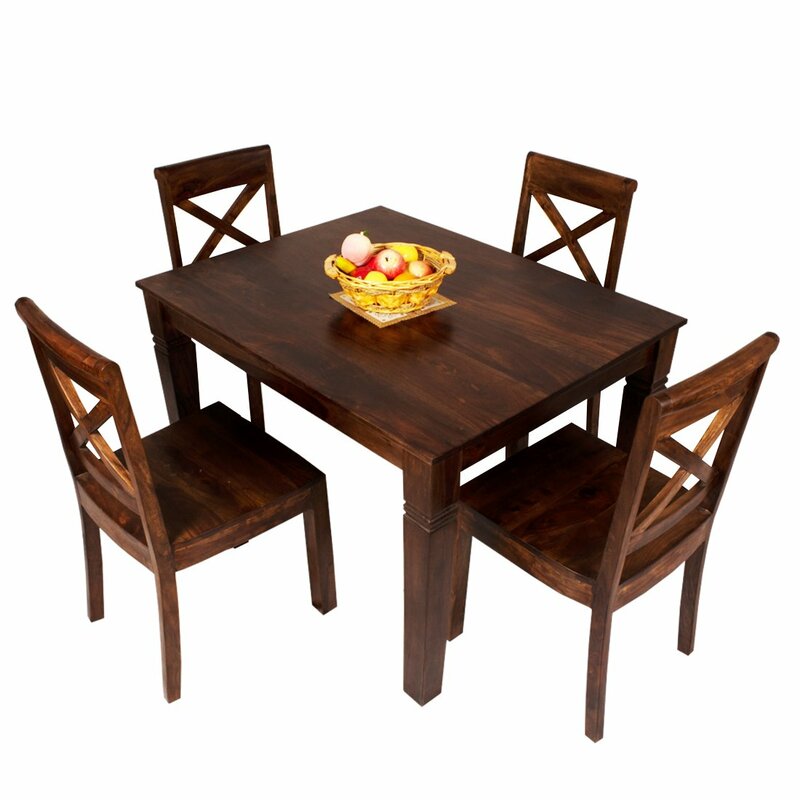 â€¢Bharat Lifestyle Richie Wooden 4 Seaters Dining Set (1+4) Manufactured from Eco-friendly Grade A Sheesham Wood, this Dining Set features a simple silhouette with well balanced proportions creating a clean and contemporary look. Straight and sturdy legs perfectly support the table while ensuring maximum leg space. Paired with open ladder, straight-backed, upholstered chairs, it makes for an elegant, inviting setup. A stain-resistant lacquer protects the distinctive grain pattern and natural feel of Sheesham wood.